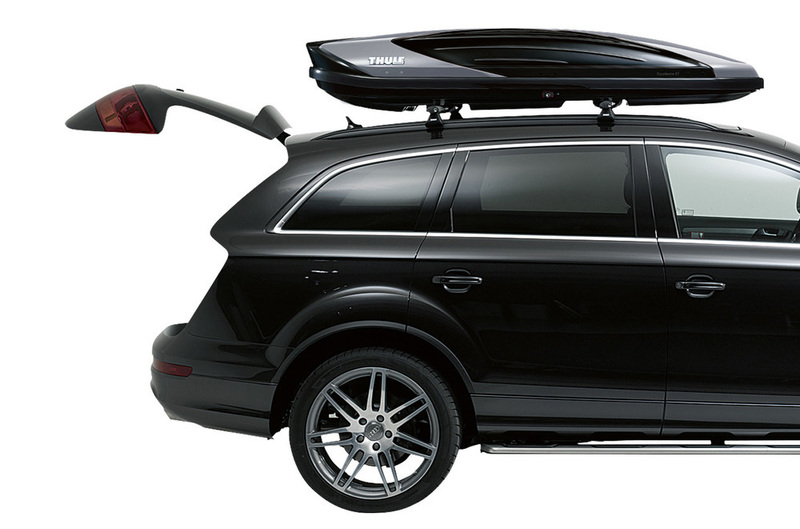 The Thule Excellence XT is the ultimate in Roof Boxes. Secure, sleek and sophisticated, it's easy to install and use. The sleek two tone design reduces its impact on air resistance while driving, minimising the affect on handling and fuel economy. A huge 470L of volume ensures plenty of room for Skis and accessories. Once the lid is closed, nets ensure minimal movement from what's inside. 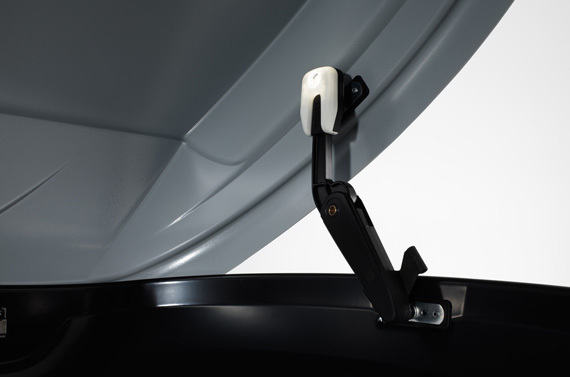 A forward facing design means your boot is still easy to access without having to touch the unit at all. 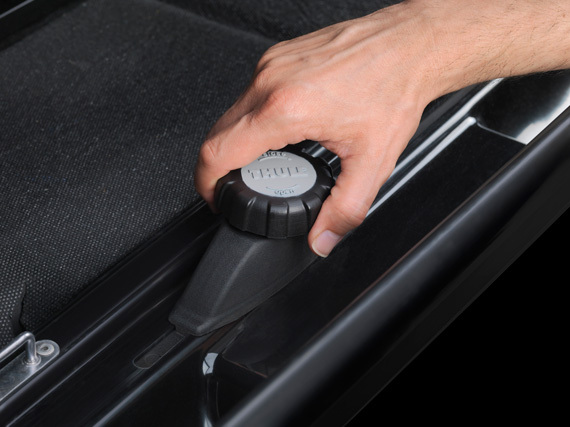 Mounting and unloading is easy thanks to an opening on both sides, with a grip-friendly Key to make locking easy and giving peace of mind. The lock will only engage if all lock points are secure. Stores up to 7 Skis or 5 Snowboards. An integrated light keeps contents illuminated at all times of day for simple loading and unloading. Lights automatically turn on and off when opening the lid. The thoughtful foward-position design of the XT ensures that you can still access the rear boot and extend it fully, without the box blocking access in anyway. Access from both sides making loading skis, bags and other items extremely easy. Quickly grab and go without having to unpack everything! The Excellence XT can be fitted quickly and securely thanks to a tool free Power-Click system which has integrated torque indicators. Simply twist once aligned on the roof bars to the required level with one hand. 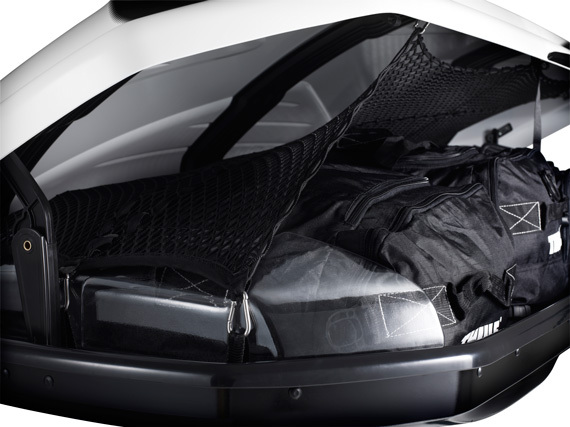 A huge 470L volume gives enough room for up to 7 Skis or 5 Snowboards, with netting keeping it all safe and in place when on the move and avoiding any annoying rattles or shakes. 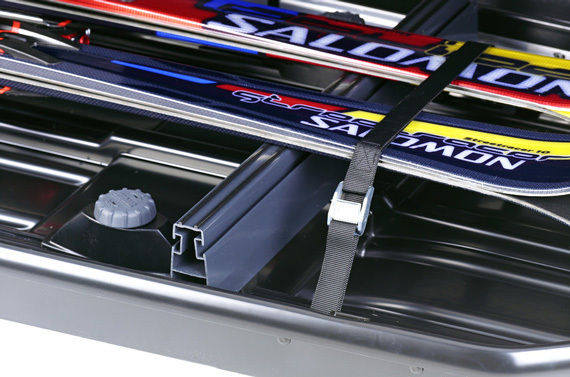 If carrying Skis please ensure you purchase the 694-9 Thule Box Ski Carrier Adaptor. 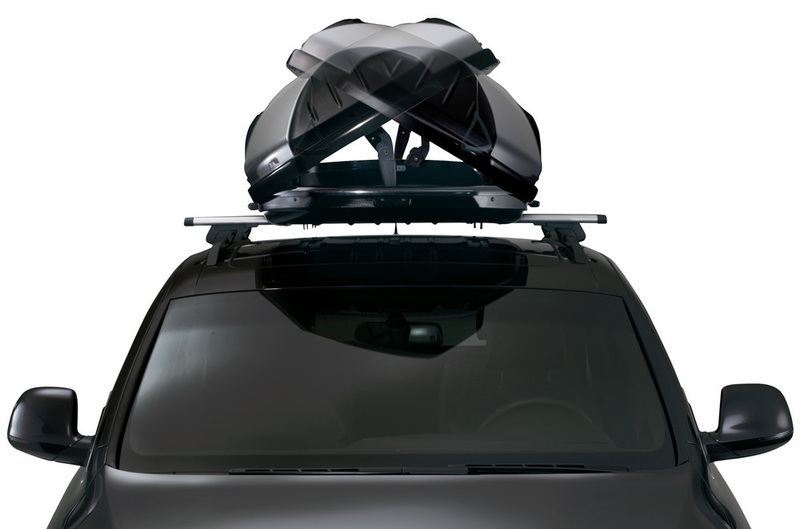 For safe transportation of your Skis Keeps the skis in order inside the Thule roof box. Could be used as space dividers. Fits Sport size Thule roof boxes.